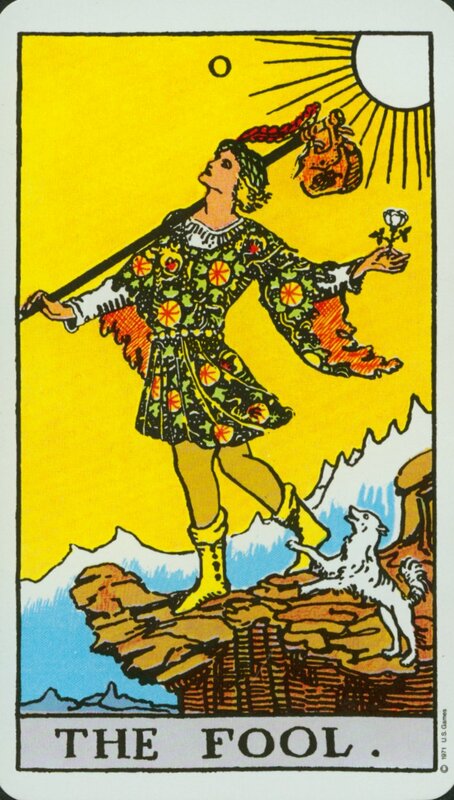 Embark with me on an adventure through the 78 cards of the Major and Minor Arcana. This course lays the groundwork for using the analytical and intuitive mind to navigate a world of infinite possibilities with greater ease and confidence. You will acquire practical tools for using the Tarot to illuminate and resolve internal conflicts, using sound and movement to anchor your intentions in your highest truth, and communicating directly with the subtle energies of the Tarot to receive insight and inspiration. Applications for healing, creative expression, decision-making, and spiritual expansion are virtually limitless. You will receive an attunement of the Qabalistic Cross to tap into the wealth of vitality and energy housed in your unconscious in a balanced and grounded way. You will learn how to communicate with individual frequencies of the Tarot for guidance, inspiration, and insight. This Event is Full. If you click on the sign-up link, you will have an opportunity to register for the July 7, 2018 class. This workshop is hosted by: Anne Stanley (Chinese Medicine Practitioner), Bryan Bartell (Qi Therapist), & Megan Magill (Natural Foods Chef). Chinese Medicine Practitioner Jampa Stewart will be teaching Primordial Wisdom Qigong and The Four Dignities Qigong at Healing Circles/One:OM. Jampa is a long-time student of Mantak Chia's Taoist Cultivation practices, as well as a deeply embodied Tibetan Buddhist. His presence, sincerity, and devotion are a great blessing to our space. We welcome him and You for this work, for your healing, for your empowerment. This is a 2-Day workshop, from 9:30 am - 5 pm each day, including a lunch break. Feel free to bring your own meal and stay at the facility, or enjoy some local fare, as we're right by the Heights Historic District. My sister and I are planning on teaching workshops at the TYC this year. As we confirm our days and times, we'll update the information here. If you're planning on attending the conference, please make sure you use this discount code for $10 off registration. Many blessings and we look forward to seeing you! The Next Community Healing Day will be on May 10th. This will be held as usual at Jade Garden. 427 West 20th Street, Ste 710, Houston, TX 77008. Please arrive by 1:50 pm at the latest, as they building's outside doors will be locked at 2. This is a multi-practitioner environment, so 2+ will work on you at a time or sequentially. Love and healing for all. Suggested minimum $25. Please join us every other Sunday at Jade Garden for a women's qigong/energetics healing circle from 8:30 am ~ 10:30 a.m. Please contact me via talk/text if you need assistance entering the building or have questions. Additionally, please arrive on time. Mothers, please leave your children at home. This time is for you. I ask you to honor your inner goddess and give her this sacred space your full attention. Every 2nd Saturday of the month at Jade Garden from 9 a.m. - 3 p.m.
Acupuncturists, Body workers, Reiki Healers, Chiropractic, and Reconnective Healing. All beautiful options available, depending on that specific month. Please contact me for more details.